I recently received the entire line of the new 2016 wines from Jacques Capsouto Vignobles. 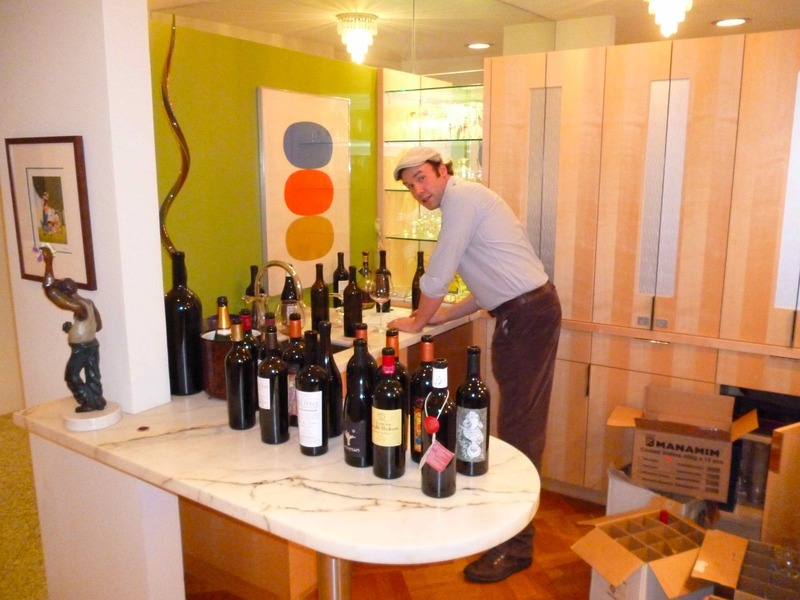 I have written many times about this winery, that broke onto the kosher wine scene without many knowing anything about them, and shocked us all with really impressive wines starting from the inaugural release. The 2015 vintage was not kosher in the end, having to do with how or when the grapes were picked, the 2014 and 2016 vintages are perfectly fine and bear the OK kosher symbol. I have yet to interview Mr. Capsouto personally (though I did talk with him at Sommelier briefly), but there are many good articles out there and I recommend that you read them all – as each has a nugget of information that the other lacks. The first is the oldest of the articles that I enjoyed – maybe the first one written; when the vines were planted. The next one is an article written by the ever wonderful Dorothy Gaiter, written in the Grape Collective. Next, you have the in-depth article by Haaretz – with really good insights. Finally, there is the best article, IMHO, from one of the better kosher wine writers today; Adam Montefiore. Through all the articles – you get a common story of Jacques Capsouto, an immigrant from Egypt, who built Capsouto Frères with his family, a classic French restaurant in Tribeca – before anyone cared about Tribeca! Throughout the entire journey of Capsouto Freres, he showed his never-ending passion, and drive, but sadly it ended in sorrow after the effects of terrorism and natural disasters destroyed almost half a lifetime of sweat and tears. To me though, there is another story in there, one of love for Israel, wine, and a deep understanding that Rhone varietals have its place in the Galilee! The Rhone Rangers are a group of California winemakers who in the 80s started an association to promote Rhone varietals in California. They have single-handedly pushed Rhone Valley varietals into the wine buyer’s subconscious. In 2011, Mr. Capsouto planted a subset of the 22 official varietals (9 in total) that make up the Rhone Rangers list of promoted grapes. In doing so, he became Israel’s first and ONLY truly 100% Rhone varietal winery, in other words, Jacques is all-in on the Rhone Valley in the Galilee! PLEASE NOTE: The 2015 vintage was actually not kosher in the end – so please do not consume. 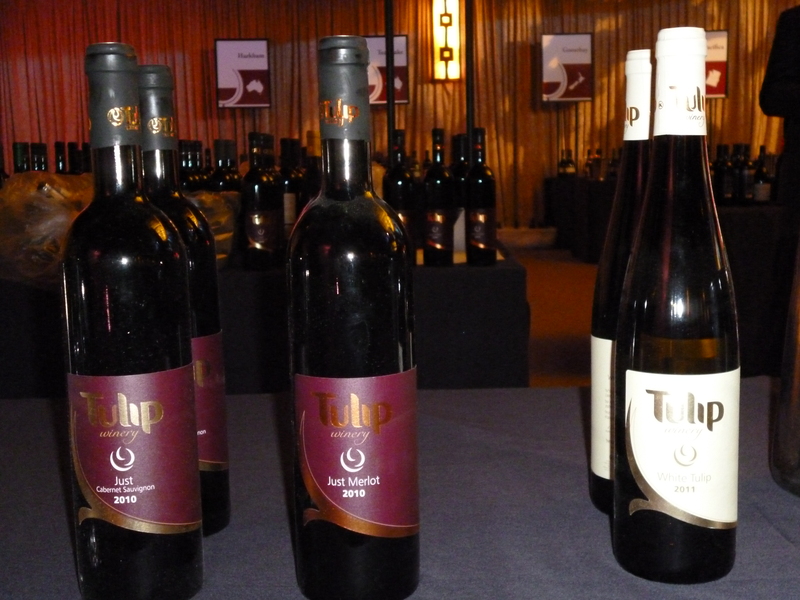 The issue was not with the winemaking but rather with Israel’s many issues surrounding grapes and when/how they can be picked. I wrote last year about Capsouto Winery, and I really enjoyed them. This year, the 2015 vintage is nice, but overall, I think the 2015 vintage caught up to them. 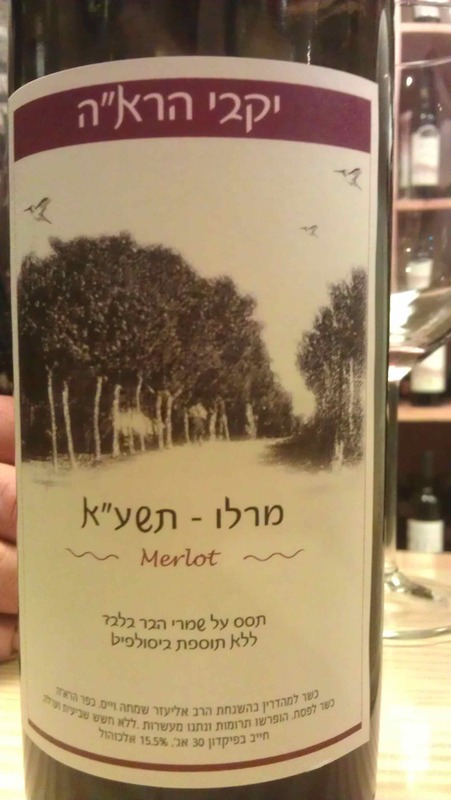 The 2015 vintage is a Shmita vintage, and as such some do not drink it, but being that the wine was made through Heter mechira, it makes it easier – especially if you are a Sephardic Jew, but as always ask you local area Rabbi. I was sent the newest wines from the winery along with two of last years reds. Like last year, I have yet to interview Mr. Capsouto personally (though I did talk with him at Sommelier this year briefly), but there are many good articles out there and I recommend that you read them all – as each has a nugget of information that the other lacks. The first is the oldest of the articles that I enjoyed – maybe the first one written, when the vines were planted. The next one is an article written by the ever wonderful Dorothy Gaiter, written in the Grape Collective. Next you have the in-depth article by Haaretz – with really good insights. Finally, there is the best article, IMHO, from one of the better kosher wine writers today; Adam Montefiore. Through all the articles – you get a common story of Jacques Capsouto, an immigrant from Egypt, who built Capsouto Frères with his family, a classic French restaurant in Tribeca – before anyone cared about Tribeca! Throughout the entire journey of Capsouto Freres, he showed his never-ending passion, and drive, but sadly it ended in sorrow after the effects of terrorism and natural disasters destroyed almost half a lifetime of sweat and tears. To me though, there is another story in there, one of love for Israel, wine, and a deep understanding that Rhone varietals has its place in the Galilee! The Rhone Rangers are a group of California winemakers who in the 80s started an association to promote Rhone varietals in California. They have single-handedly pushed Rhone Valley varietals into the wine buyer’s subconscious. In 2011, Mr. Capsouto planted a subset of the 22 official varietals (9 in total) that make up the Rhone Rangers list of promoted grapes. In doing so, he became Israel’s first and ONLY truly 100% Rhone varietal winery, in other words Jacques is all-in on the Rhone Valley in the Galilee! Look around Israel for those betting on the Rhone varietals, there is of course Netofa Winery (who planted Rhone and Loire Valley grapes), Recanati Winery (which has access to Bordeaux grapes for the reserve series and Rhone grapes for their Mediterranean Series), Kishor Winery, and Vitkin Winery. 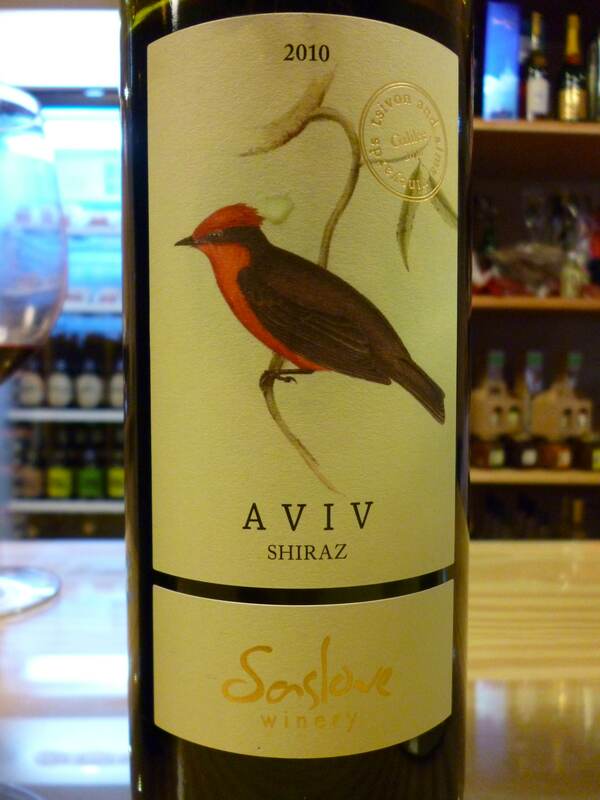 Still, no one has staked 1.7 million dollars to start a boutique winery in the Galilee, featuring some of the most obscure grapes to ever grace Israel! The 9 varieties planted are Carignan, Cinsault, Grenache, Mourvèdre and Syrah for the reds and Clairette, Grenache Blanc, Marsanne and Roussanne for the whites. 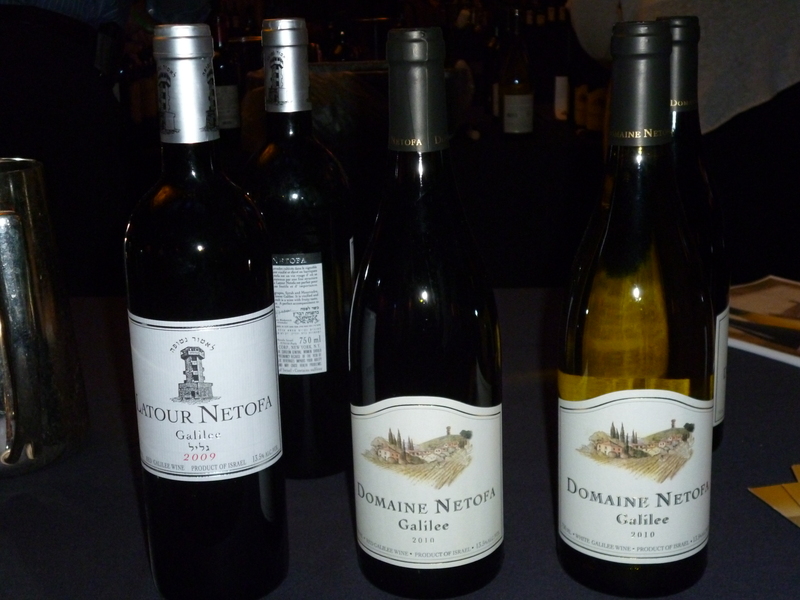 Carignan is nothing new in Israel, I just posted an article about Carignan wines from Israel. 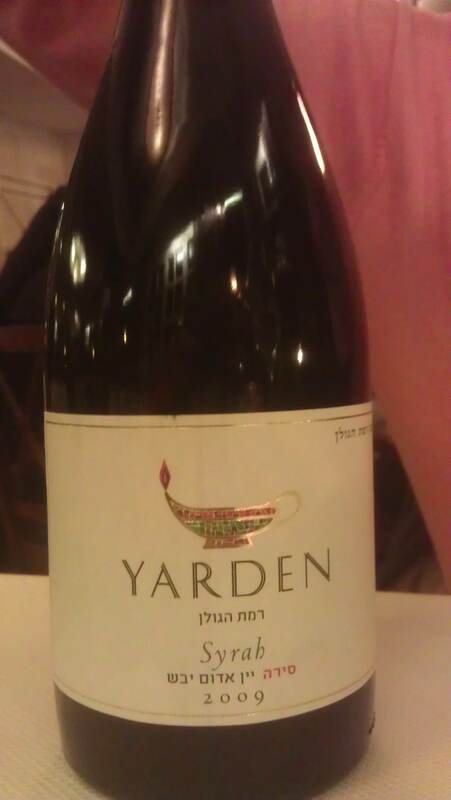 Cinsault is not one I know of in Israel, or anywhere else in the kosher wine world. 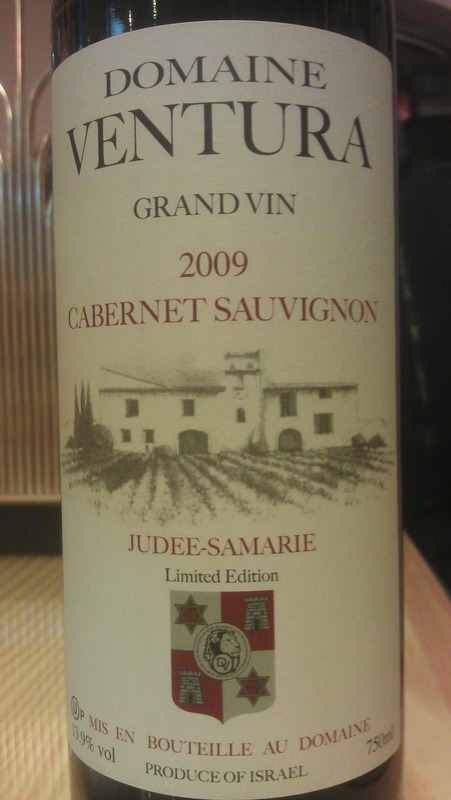 Grenache is slowly making its way around the country and has been in Israel for some time now. Same with Mourvedre and Syrah of course. 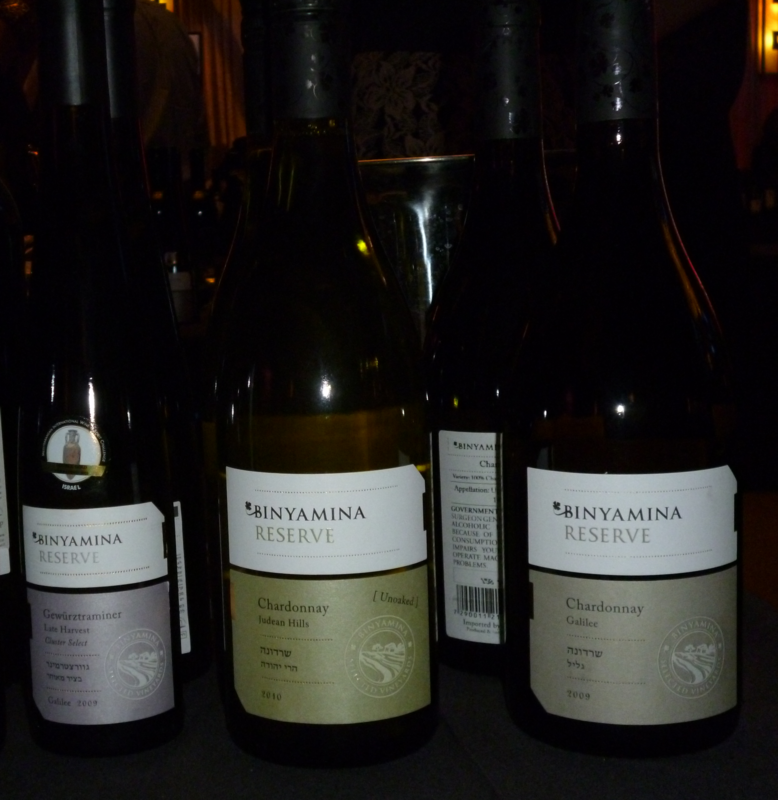 Clairette and Grenache Blanc are new to Israel, though Vitkin also has Grenache Blanc. While Marsanne and Roussanne are in the Golan and other places as well. Three weeks ago friends came by for a shabbat as they were visiting the area for a doctor’s conference. The most entertaining part of the shabbat (food wise) was JP’s dietary requirements. The good news was these requirements were not a full group requirement (three total in the posse), but rather a diet need of just JP. The group was fantastic, and the table dynamic was really quite interesting. One of the other guests at the table, who was also hosting the group for lunch the next day, thanked me for introducing the group to them, so yeah they are ok folks. The interesting fact about JP is that not only is this man vegan (100%), but he is also gluten free. Those two requirements combine to make quite a potent 1-2 punch! Still we worked it out! Once again I went with two pots of trusted Sausage Stew, one with sausage and one sans the sausage! To pump up the Umami flavors I pan fried portobello mushrooms and Tempeh, separately that is. Overall the food approach worked well I think, but the wines were the real winner of the evening – it was a dinner of beautiful Cabernet Sauvignon dominant wines along with a couple of outliers. 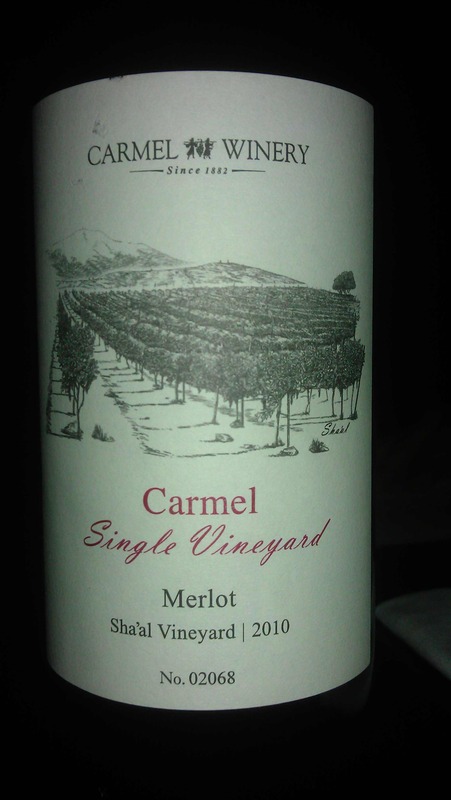 The last dinner we had with guests was also a Cabernet night, but we still had more wines we wanted to try. 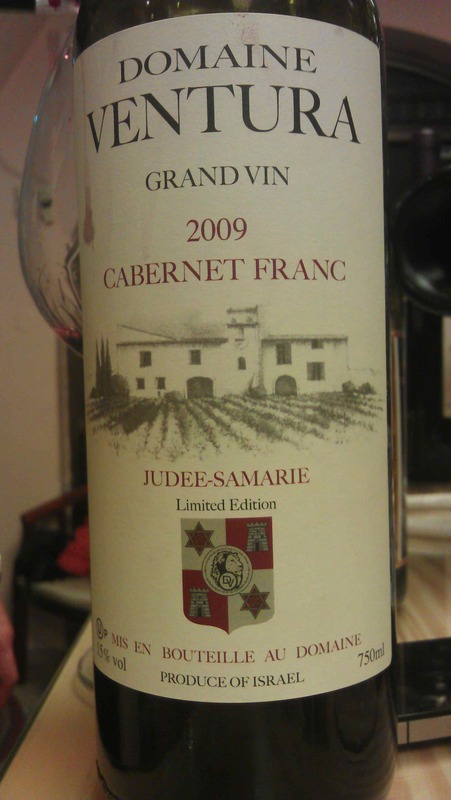 So, JP was very kind to bring a fantastic wine – a bottle of the 2007 Domaine du Castel Grand Vin, what a wine! It was velvet in a bottle, with still gripping tannins, but mouth coating and plush with layers of complexity and secondary notes coming into form. Before I rant on my epic fail wine, the two 2007 wines were both brought by guests and they are insane wines. The 2007 Domaine du Castel Grand Vin is pure heaven. The 2007 Covenant Cabernet Sauvignon is lovely, really special – but a step behind the Castel GV. Now on to my rant, the entire night was a home run (at least wine wise), except for my one EPIC fail! You see I trusted people who told me that a wine was really good, and having had an earlier vintage of this wine, I assumed this they were correct. Well, what can I say, I wasted a TON of money of wines that are really not that special at all (with clear date leanings). Look, I know I am a bit more old world in nature than some, but when the entire table, JP, JR, Benyo, and others just say NO (think the upcoming elections), the wine was barely touched, all I can say is EPIC FAIL! The wine was the 2008 Falesco Marciliano Umbria IGT, which pales horribly in comparison to its younger sibling the 2006 Falesco Marciliano Umbria IGT, which I had in NYC last year. The wine is NOT flawed structure wise, but it is overripe, parker-ized, and pushed so hard that it shows. Interestingly, I was given a bottle of the same wine, from a different channel (hand imported it from France to Israel and then home). It will be interesting to see if the issue is the wine or the import/storage manner of the wines I bought – before I got my hands on them. Well, I have posted my year in review, and now I wanted to get to my top wines for 2015. Please beware that I know I missed many wines and that this list does not include wines that I have tasted that are not available on the open market – like older Covenant Wines and the sort. I wanted to make this post short and sweet – so the criteria are simple I could care less about price, color, or where it was made. All that matters is that it is/was available this year sometime to the public at large and that I tasted it in a reliable environment, not just at a tasting, and that it was scored an A- or higher. Anything less would not be on my list. OK, enough of the darn score rant for the day, back to the matters at hand, being wines of the year. The list is long – get over it. It is a list of wines that I would buy, have bought, and will buy again – simple enough I hope. I did not differentiate by another other criteria or aspect – if it was solid (A- or higher) it made the list. I hope you enjoy! This is the flagship wine of Elvi Wines (though the Herenza Reserva may have a word to say about that) and it is a blend of 50% Carignan, 30% Grenache, and 20% Syrah. Elvi Wines makes 7K of these bottles. The wine was sourced from vines that are 20 to 100 years of age. The nose on this wine is insane and intoxicating with aromas of watermelon, root beer, ripe boysenberry, blueberry, along with chocolate and black fruit. The mouth on this full bodied wine hits you with layers of concentrated fruit, with an attack of blue and black fruit, balanced perfectly, showing great elegance, along with mad mineral, graphite, slate, rich and freshly tilled earth, along with deeply concentrated black fruit. The wine is the perfect example of elegance and balance with ripe fruit that flows into a plush mouth made from mouth coating tannin and rich fruit structure. This is truly a wine speaks for itself. 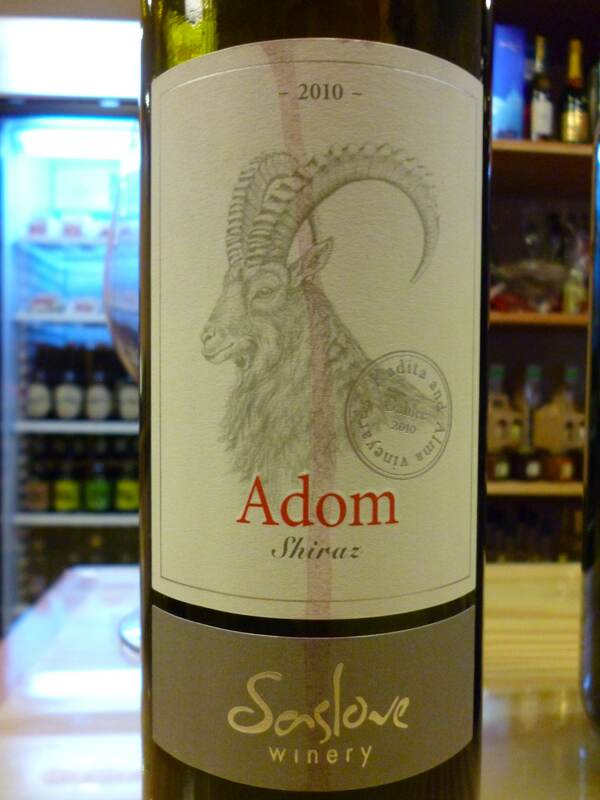 The finish is long and intense, showing rich roasted animal, lovely mushroom, and floral notes. With time, the wine shows mad barnyard, mushroom, and even more loamy dirt. Bravo!!! There are only 4K of these bottles made and each one is a true gift! The wine is closed and slow to open, but with time and a fair amount of decanting, the nose shows of mad soy sauce (like the 2009 Herenza Reserva), chocolate, richly tilled earth, loam, along with crazy mushroom and mad mineral. This wine is the epitome of umami, showing intense layers of umami with white summer fruit, cranberry, craisins, blackberry, pomegranate, and tart cherry in the background with mounds of earth. 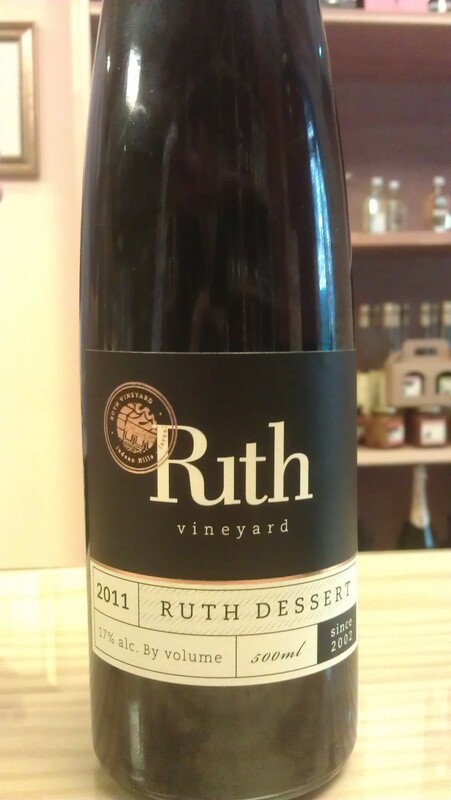 The finish is intensely long and dirt filled, with dark chocolate, licorice, blueberry and red fruit. BRAVO!!!! The 2011 was very nice, but the 2012 a slight step up. The nose on this wine is rich and redolent with lovely dirt, dark black fruit, barnyard, earth, and mushroom. 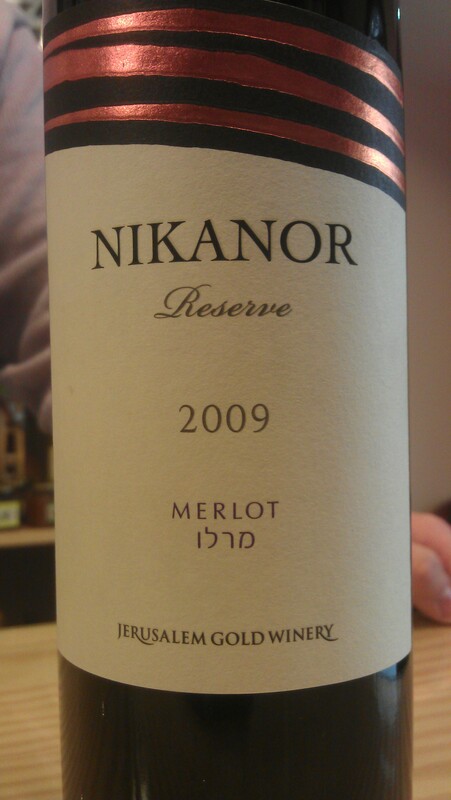 The mouth on this full bodied wine is rich, ripe, and in your face with nice chocolate, mad toast, mouth drying tannin, all wrapped in crazy acid, but bigger and riper than the 2011, almost Israeli in nature, but classically French controlled, with blackberry, raspberry, plum, with mineral and graphite. The finish is long and dirty, with hits of herb, along with layers of concentrated fruit, more mad mineral/earth/dirt/mushroom with dried raspberry, and rich garrigue. WOW! BRAVO! Two weeks ago I was in Jerusalem and all I can say is that the words, “in God We Trust” cannot have been more fulfilled than on this journey. To start, I had flown into Israel for one of my nephew’s weddings, and a lovely wedding it was, but that is getting ahead of ourselves. I arrived on Tuesday the 10th and while deplaning, I was asked to join in on a group prayer – which initially I was not so interested in, as I had a ton of things to get done in the day. Thank goodness I agreed and while talking with the group at the conclusion of the services, I hear my name being bellowed out! Now, sure I love Israel, and I know people there, but I am not Netanyahu or Gal Gadot, nor do I know anyone who knows Gal Gadot (trying to stay current and yes I know she is a female model – just making sure you are following), so I had no idea why someone was calling out my name! So, I turn around and lo and behold who is there, Mendel! Now you may not remember Mendel, but he has been canonized on this very virtual pages, here and here (de-boning a duck) – though incorrectly familiarly associated with Elchonon. I state this because it will be with Mendel’s hands that my wine salvation will be realized. He wondered if I remember who he was, and after sharing a few pleasantries, we agreed to keep in touch as he was interested in joining me on my wine escapades, which sounded great to me! From there we both got our cars and I went off to see my sister in HarNof. That evening I was so exhausted, I tried to order a burger from a place that will go nameless. Two hours later, no burger and my card were charged! To be fair, after much cajoling they did refund my money, which I understand in Israel is requires an act from God to implement, but equilibrium was returned. The next day, I WhatsApp Mendy and sure enough, he is up and ready – like I was, so I asked if he minded driving and off we went to pursue the wineries around Jerusalem. I must start by saying that I have no issue driving, but as I explained many times in the past, Israeli drivers have no drive control or manners, they are 100% certifiable! Well, I guess either work; “When in Rome, do as the Romans do” or “Fight fire with fire”, and that is exactly what Mendy does so well. The roads were slick with rain, at some points the roads were almost washed out with a literal deluge of rain, making the roads slick and a perfect pairing for hydroplaning. No worries, Mendel is at the wheel! So, our first stop was Castel! This was a true and scary shocker! This is a wine that all my friends and Daniel Rogov have said is the man! Well we tried it and it was far from it. The wine opened nicely, but was bland and then went into the tank! Rumor has it that days later it was a bit better, but still far from what folks have said about this wine, so if you have these, look to start drinking them up SOON and do not look for a real winner here! The nose is rich with lovely blueberry, along with a dead animal doing a backstroke in my glass, along with huge black and blue notes, nice black pepper, licorice, and a hit of lemongrass and citrus. 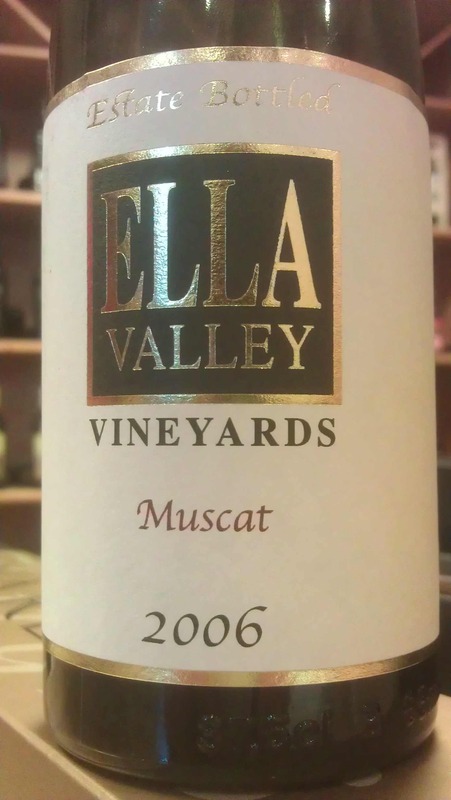 The medium bodied wine is nice with soft tannin, blackberry, black plum, and cherry, with a hint of raspberry, nice earth and green notes, with cedar and tannin. The finish is cliff-like with little to no finish with leather, tobacco, nice cinnamon, spice, and insane eucalyptus, menthol and smoke. The wine died with 30 minutes and had absolutely ZERO body, basically liquid fruit juice. – drink up! 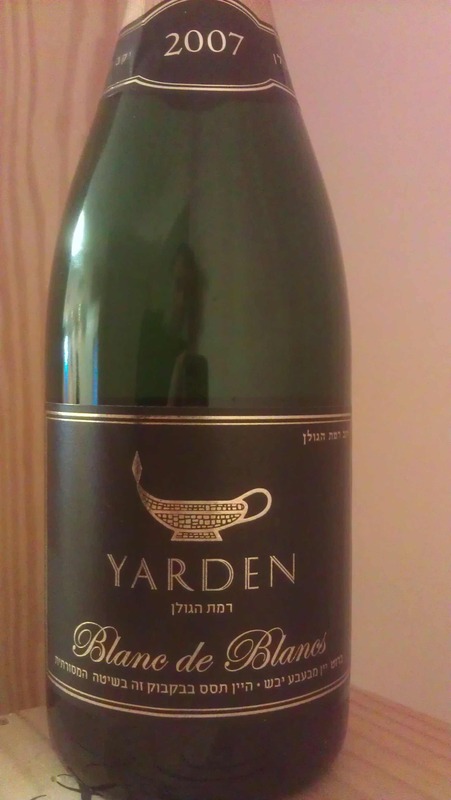 The Yarden Blanc de Blancs is made entirely from Chardonnay grapes grown in the northern Golan Heights, Israel’s coolest viticultural area. The wine is made strictly according to the traditional method (méthode champenoise) including hand harvesting, pressing of whole clusters to increase acidity and fruit flavors, and secondary fermentation in the bottle. Disgorging took place after five years of bottle aging on the tirage yeast. On Sunday night we were blessed to be part of an extremely exclusive 27-course meal, well more like 30 or so – if you count the decadent small dishes after dessert, but who is really counting. 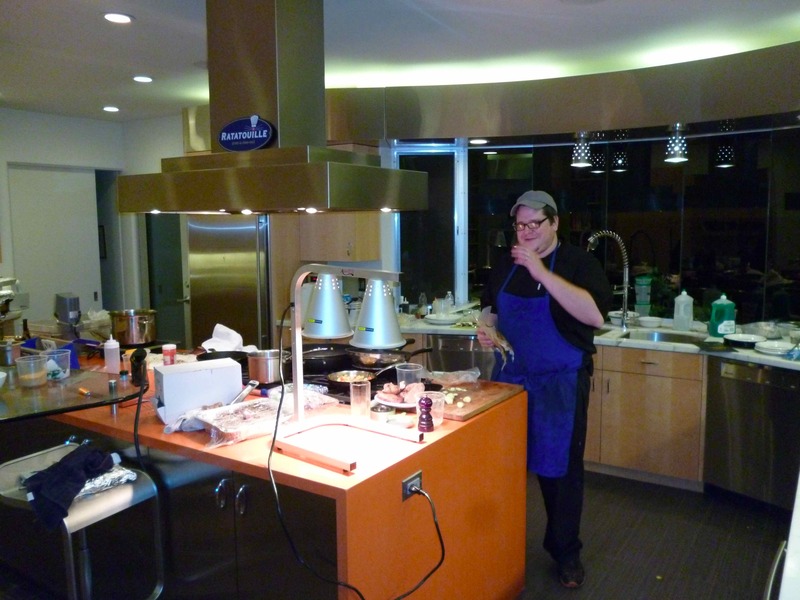 The event was put on by the dynamic duo of Chef Yitzchok Bernstein and Brobdingnagian Wine maker Jonathan Hajdu. The event was a fundraiser for Beth Jacob, Oakland’s Orthodox Synagogue – and what an event it was! When I have tried to explain the event, attempt to verbalize the magnitude of the effort, and the uniqueness of it all, I have so far failed, till now I hope, to transport the listener, or reader, to the mind-blowing state of conscious that we were all leaving within for 6 or so hours – this past Sunday night. The meal was a, 27 or so course, of mind-blowing culinary talent – coming to life in front of us lucky few. Each dish was hand plated with such exacting detail, that not only did each plate fill us gastronomically, but also the visual sumptuousness of each and every plate truly was equally a feast for one’s senses. The funny thing was that the meal started at 24 courses, as I had an early preview of the menu. However, by the time we lived it, it had grown to 27 and could have been 30, if the participants could have kept up with Bernstein. I was more than happy to taste the other two or so courses, but I did not call it a 30 course meal, as they were not formally served to the participants. The second we entered the home of the host and hostess we knew we were in for a real treat. The house is a lovely sprawling ranch style home, remodeled to as close as possible to the mid-century modernism style of some 60 years ago, while all the while bringing the current century’s modern touches to life in a truly non-obtrusive manner – a real success in my humble opinion. If the home is an extension of the owners, than the simplest way to summarize the hosts is, sleek, modern, highly functional, with an ode to the past and arms open as wide as the glass sliding doors that truly define minimalist architecture and the MCM movement. The openness and warmth that are exuded by the home’s colors and textures truly reflect the host and hostess, and all of us were constantly in awe of their ability to deftly steer the epic culinary adventure to the success that it was. While the event may have stretched a bit longer than some were ready for, as most needed to go to work the next day, the intimate setting and cosmopolitan mix of people truly added to the entire evening. With the well-deserved forward now handled, it is only fair to throw the light unto the culinary genius of the evening – Chef Yitzchok Bernstein. Mr. Bernstein is mostly self-taught, but has also received formal training in Bread Baking at French Culinary Institute. He also studied pastry and advanced bread baking at SFBI. (san francisco bakers institute), and has been working in and around restaurants, since the age of 14. Food is a truly passionate thing to Mr. Bernstein; you can see his persona expressed clearly in his food and in his open and warm demeanor. Throughout the evening the dishes were harmonious, balanced, tempered, but never losing focus and always packing more than enough bite, texture, and complexity to grab and keep your attention, until magically there was yet another unending course to partake from. Each course built on the past one, adding layers and nuances that were not lost to the foodies that ensconced the close-knit twin table setting.